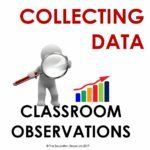 This observation booklet contains a range of templates to support observations of teaching practice. The templates are designed so they can be easily adapted to a particular context or learning/subject area or curriculum level. The Table of Contents below indicates the types of templates included in the resource. This comprehensive resource is purchasable for $150 + GST in hard copy and/or digital form. A digital copy can be on your school server available for use by all teachers.